I took too much. I knew it before I started packing and it was even clearer after sitting on my suitcase in order to pull the zipper shut. 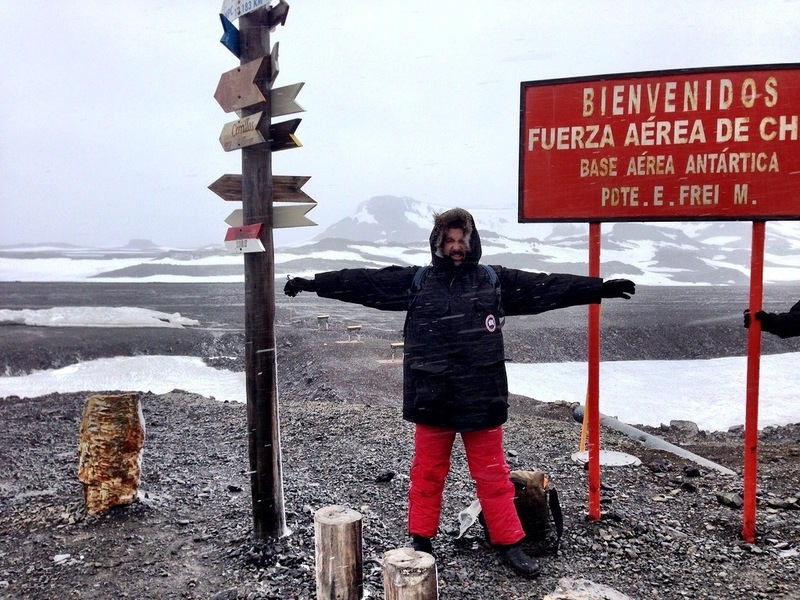 I had a lot of concerns about packing for Antarctica; it’s unlike any other trip I’ve ever taken. The conditions down there are strange and unique and if I needed something there would be no way to get it. I panicked and started throwing everything in that I thought I might, maybe, potentially would need. Aiding me in this disease of over-preparation was the packing list supplied by the cruise company. A well-intentioned document, no doubt, but one that needs a bit of editing. First some important caveats. I visited Antarctica through the sponsorship of Adventure Life, an adventure tour company that specializes in taking people to some of the most amazing places on the planet, including on Antarctica cruises. Also, my experience in Antarctica is unique to the conditions when I was there, namely February. Temperatures can vary throughout the Austral summer so please don’t blame me if you weren’t warm enough or conversely if you brought too much. All I can do is report my findings. Luggage – This is a deceptively important item and requires a little more thought than I put into it. Antarctica is far away, very far away in fact, and slogging down there can take a while. There are layovers, overnights and you need to make sure your luggage isn’t a proverbial anchor. (Or a literal one in the case of Zodiac boats) A large backpack is a great option as are large wheeled duffel bags. I took a standard suitcase and while that worked, it wasn’t the best option for mobility. I also recommend taking luggage that is waterproof or water resistant. 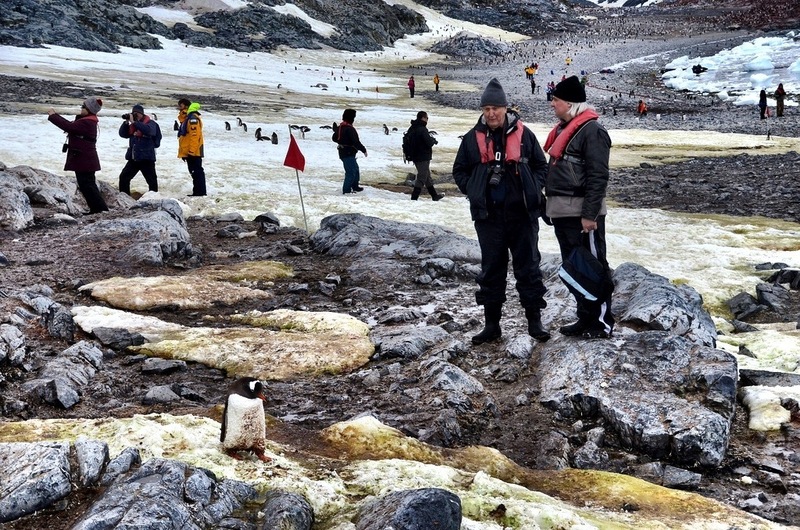 This is a great tip for all travel, but especially important for a fly-cruise to Antarctica. The bags get to the ship the same way as the people, via Zodiac boat. That means water will splash occasionally onto the bags and if it’s raining or snowing, then they will get wet, very wet. Size is also an important consideration. The staterooms were of a comfortable size, but they’re not suites on the Queen Mary 2. Leave the steamer trunks at home and instead try to be as light and nimble as possible. Some cruise lines are also very picky about weight. The ship I was on had a limit of 50 pounds for everything, including hand luggage. This created a fair amount of consternation but ultimately is great in helping focus one’s travel priorities. It’s also important to bring a light, waterproof daypack for daily excursions onshore. Outerwear – This category caused me the most angst and ultimately I overdid it. My image of Antarctica is probably like everyone else’s, dark, snowy days with the wind ripping through even the most robust wintertime ensembles. And that image is a true one, in winter. In the summer, when all the cruises go to Antarctica this most definitely is not the case. I need to preface this by saying that the folks over at Canada Goose were kind enough to be the outerwear sponsor for my trip and for that I am extremely grateful. Any clothing mistakes made were mine and not theirs and truly, I’m being honest when I say that everything I used of theirs was of the highest quality. Ok, so let’s get started. Everyday you will wear the same pieces of clothing: winter pants, a jacket or parka, hat and gloves. The pants I used, the Rocky Mountain Bib Overall, were perfect and I loved them. They ticked all the boxes, they were warm and more importantly they were waterproof. 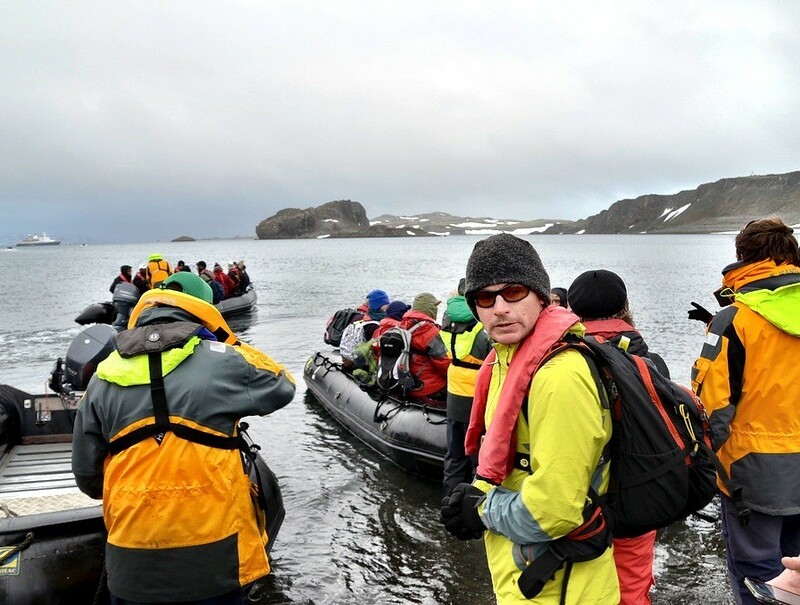 Zodiac boats are a fact of life on an Antarctic cruise and with that comes water, a lot of it. There are also times on shore when you will get wet and dirty and the pants are great in keeping warm, dry and clean. So thumbs up on those. Now for the jacket. The jacket I used was the Canada Goose Expedition Parka. This is an awesome, world-class product and will keep you warm anywhere on the planet and at any time of year. BUT, it was just too much jacket for this trip. First it was huge and took up half of my suitcase. It was also very big to wear, especially on hikes on shore when one needs to be nimble. Instead I would recommend the Canada Goose Hybridge Jacket or similar. It is cold, don’t get me wrong but at the time of year I was there the normal was 5C or 40F. With wind and rain this felt worse, but it’s nowhere close to the 30 below for which my parka was rated. Hats and Gloves – Depending on whether or not your parka has a hood, you’ll need headgear of some sort. Once again, I used the Canada Goose aviator hat and loved it. I practically lived in it while onshore and was thankful for its warmth and comfort. No matter what you get though, something that protects your neck and ears is a nice luxury in Antarctica. Gloves should ideally be two-layered. You should have a light pair of gloves over which larger, waterproof gloves fit. The waterproof gloves are great for the Zodiac boat or if you find yourself hiking/falling in the snow but you can take them off for taking photos and such. General Purpose Clothes – Layers, layers, layers. It’s in all the literature about planning for Antarctica and with good reason. The weather changes constantly, one day we had beautiful and dare I say warmish weather but the next day we traveled to a spot that was cold, dark and rainy. It’s important to be prepared for all these conditions but to not overdo it. My uniform everyday was a light sweater or flannel shirt with an undershirt and all of my outergear. I was never cold. I doubled up socks everyday, although I don’t think I needed to. I wore a light running sock with heavier, rag wool socks over them. But the boots supplied by the ship were warm and waterproof and not once were my feet cold. One thing to keep in mind is what you’ll need to wear around the ship, from dinner to evenings in the lounge. It’s an expedition, so it’s casual attire but you also need to be comfortable. Light slip on shoes are perfect for just hanging out and believe me, after wearing large rubber boots all day you’ll want something light and airy on your feet. A number of people actually wore flip-flops throughout the trip. Odds and Ends – I’m going to run down the checklist provided in advance by the cruise company to list the things I used and those I didn’t. Once again, this is just me. Maybe you’ll need different things or have a different experience, but this is what I found to work and not work. So there you go, pretty basic if you think about it, but that was my problem. I overthought things. I freaked out. I imagined that I was Shackleton heading down to rescue his crew. In reality I was on a very comfortable cruise ship where the biggest concern was whether or not to have the red or white wine with dinner. But this is also Antarctica and preparation is always well rewarded, just don’t overdo it. Make sure you have the essentials and that they’re high quality and everything will else fall into place. So don’t stress and have fun – this is a trip of a lifetime after all! Comfortable walking shoes or boots for days in towns prior to embarkation, and for onboard the ship. Lightweight, roomy, insulated parka that is wind and water-resistant. Wool hat or ski cap that will protect your ears. Plastic bags of various sizes for keeping things sorted out in your duffel. Zip-lock bags work well. Super jealous. 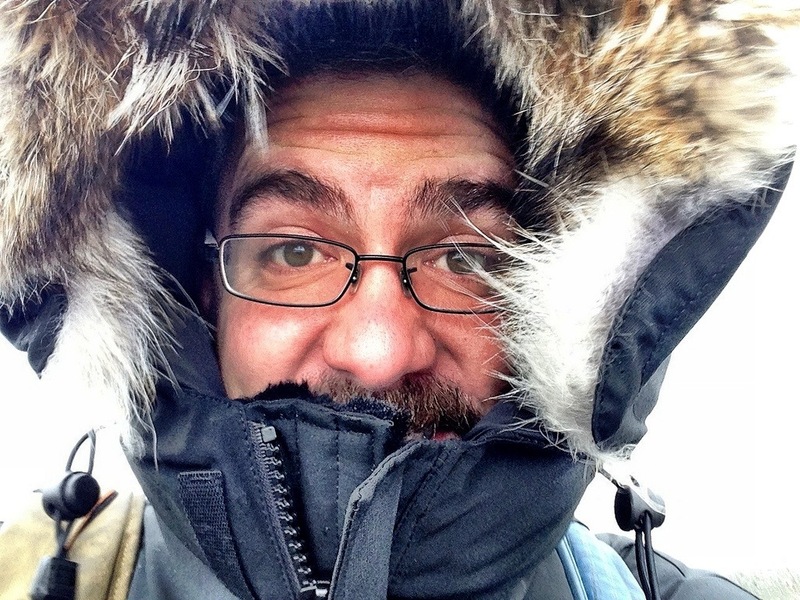 I prob would make the same mistake packing for a destination like Antarctica… Overpacking. I’m guessing the gloves weren’t necessary for the white wine. Nice one! 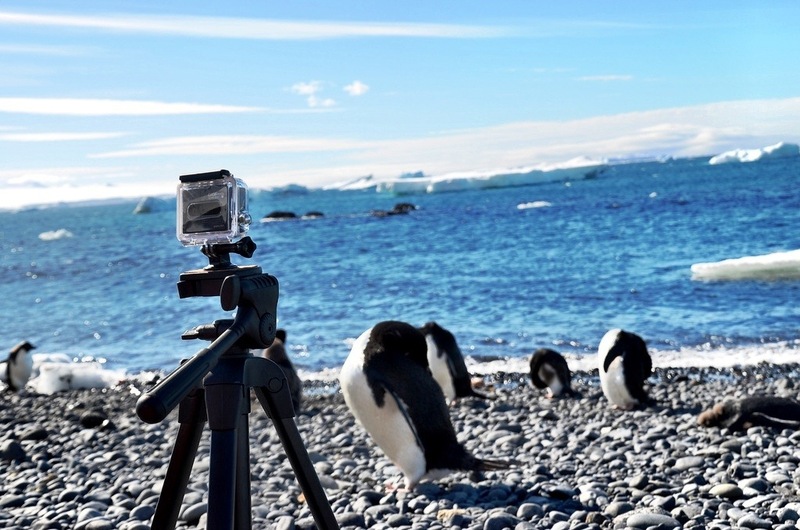 Many thanks for your informative report on your super-exciting expedition to Antarctica. I am going for a similar trip in Jan 2014 along with my sister. Your article has helped us greatly in planning what to pack for the trip. A question – how did you approach Canada Goose to sponsor your outerwear? I was wondering if we could do the same as the gear is terribly expensive. Once again, thanks for the write up! Have fun! It’s a remarkable place. If you’re going in January, you won’t need a super parka. Any decent jacket will be fine. And Canada Goose approached me. You can be sure we will have fun! Thanks for this detailed list Matt – it’s one of the best I’ve seen online. Particularly because of the products you recommended. It may not be available in my country, but I can now get something similar. Thanks for the list. I am doing a fly n cruise following a trek in Patagonia next year and never thought about the luggage going out to the ship via the Zodiac. Great advice about waterproofing it!. I have a question. The information that I have for the cruise ship I will be on, the Sea Adventurer, says that it provides both the boots and parka. If that is case, do I still need to bring an additional parka of my own? If they’re providing the parka then no, you don’t. You may want a light jacket though to wear around ship or onshore if the weather is too warm for a parka. Have fun! I found your site because I was looking for a cream that is used by the scientists in Antarctica for long periods of time because of how dry the air is. Your travel notes are very helpful indeed except you never listed the name of the moisturizer your used or if it worked well or not. But then I am a female so you are forgiven. Many years ago I went to Europe to clime Mt. Blanc and the Matterhorn and any other smaller peaks along the way. It was pleasantly warm at lower altitudes but bloody cold at 3 am as we started the climb to summit Mt. Blanc. I did the same thing that you did because the list I was given was not complete enough and ended up buying fleece and pants when I got there. I fortunately had the other necessary insulating garments but not the correct outer garments.